Foster artistic growth through new commissions, recordings, festivals, tours and residencies. Educate children and adults with programs for families, schools and community groups. Expand access for groups and individuals who might otherwise not be able to experience the Symphony. Conduct education and community programs in Octave 9: Raisbeck Music Center. Maintain accessibility to high-quality programs through appropriate infrastructure and technology. Operate a financially sustainable cultural institution serving the entire Puget Sound region. 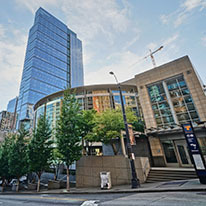 Grants and other charitable gifts are the primary funding sources for the Seattle Symphony's nationally recognized education and community programs serving more than 100,000 people annually. 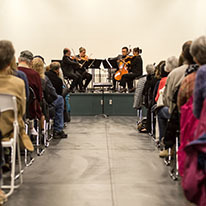 The Seattle Symphony is supported by many private and community foundations. Questions? Contact Senior Major Gift Officer Paul Gjording at paul.gjording@seattlesymphony.org or 206.215.4838.